pie | I Should Cocoa! We’re hosting Christmas in SF again this year, and I’m so excited for: avoiding holiday highway traffic, driving by Tom and Jerry’s wild and wacky Christmas display, cooking up a storm with Anna in the kitchen, decorating the tree and arranging the presents just so, enjoying a glass of wine with a house full of roasting turkey aroma. I’m very lucky that the main deal, the Christmas meal itself, is a collaborative affair with B’s mom Anna expertly navigating us through the menu. This allows me to take my rightful place, as the slower, clumsy sous chef always standing at the ready. Another thing I am looking forward to is making dessert. The Christmas dinner dessert, I believe, should be a comforting classic but with an enticing element of excitement. I don’t need a spectacular show-stopper because the meal itself is so rich and hearty – and I definitely don’t need something so complicated as to set myself up for a flailing failure either. 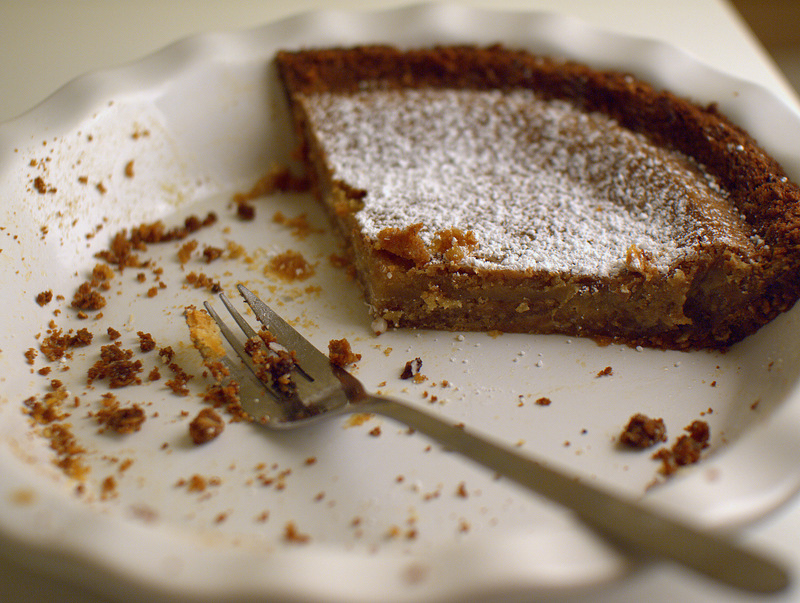 Last year, I made a fragrant bourbon pumpkin pie with pecan streusel. 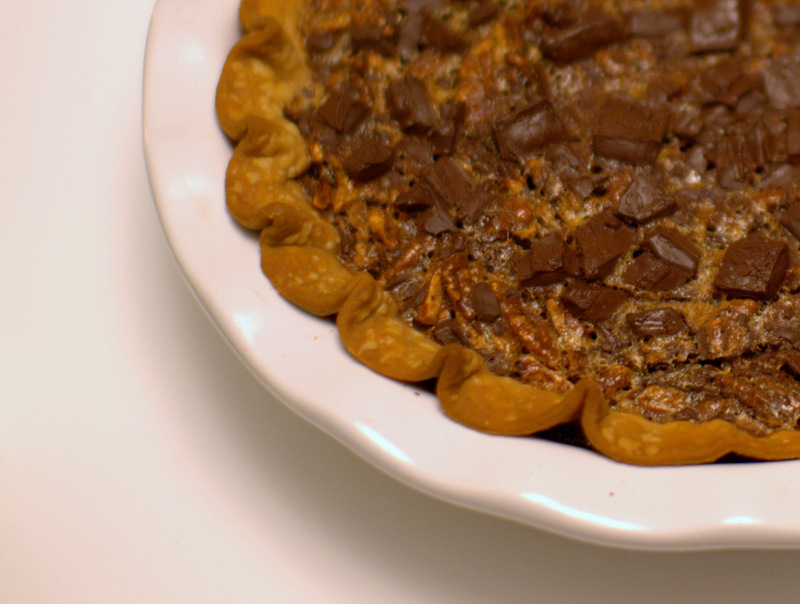 This year, I’ve decided to go the way of a pecan pie, and this salted chocolate pecan pie will please a lot of different tastes. Its gooey and sweet but also a touch salty like the best caramel, crunchy and nutty chock full of sweet pecans, and crumbly with smooth pockets of intense chocolate. If you or your loved ones are fans of any of the above, then this should be your Christmas dessert, too. Some notes on this recipe: I recommend toasting the pecans to round out the flavors. Also I royally failed on the crust end. I think what happened was that the pie was too full and some of that caramel like filling oozed over the edge and behind the crust: effectively super-glueing the pie crust to my dish. I had to chisel out shards of pie crust and the plated dish was more like chocolate caramel pecan cobbler (a delicious, delicious, cobbler). So use whatever crust (ready-bought or from scratch) that you like but watch the level of the filling, chill the dough, and flour that crust before laying it in the dish. Or, just get out some bowls for a scrumptious cobbler and call it a success. For a recent barbecue with tandoori grilled fish and chicken, I needed a summery fresh dessert that would also go with the Indian cuisine theme. This blackberry ginger clafouti recipe seemed to fit the bill just fine. 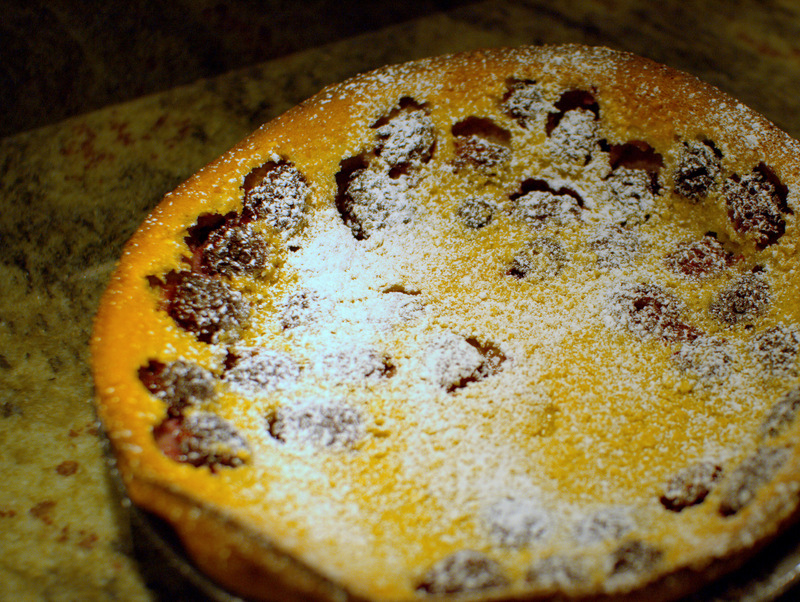 Clafoutis is a fancy schmancy word for a sweet quiche. A quiche is a fancy schmancy way to say baked custard. A custard is a fancy schmancy way to say eggs. So basically, this is sweet eggs. The recipe was embarrassingly easy to throw together. I didn’t make my own garam masala for this recipe but you certainly could as its quite simple. Garam masala is full of aromatic spices that would be right at home with dessert, especially if you like pumpkin pie with lots of spice or spiced fruit cobblers. The result was a not overpowering but did tie in some Indian flavor to an otherwise straightforward dessert. Also, any berries or cherries would work well for this recipe. This Dutch baby-ish dish will rise up and deflate like a souffle, but the texture is firmer. I served it at room temp with ice cream, but warmed up I think it would be even more eggy and quite comforting. If you like flan, I think this would be a great spin-off into a new direction. Personally, I’m not quite sold on clafoutis for dessert but I think I could get into it for breakfast as an alternative to French toast. Which all works out since I never bother to keep breakfast restricted to mornings anyway…. My friend Adam has an annual memorial for his father by doing two of the things he loved best: having friends over and making potato pancakes. A lot of potato pancakes. I so look forward to this evening of carb-loading gluttony every year, the crispy fried pancakes yielding just enough room in my stomach for a Polish beer or two. This year, he asked me to bring dessert and I thought to try out something Polish as a nod to his heritage – szarlotka, an apple tart. Of course, I made sure with Adam that he was OK with me potentially desecrating his food memories with my attempt at a childhood treat. He was not only OK , he promised to probably be drunk enough by dessert time for it not to matter; Adam’s cool like that. I used this recipe from Richard Sax’ Classic Home Desserts. The instructions were clear and the recipe/ingredients passed Adam’s authenticity test. Looked easy enough, just apples, cinnamon and a “cookie-like” dough. No rolling of doughs is a winning recipe in my book! Whipping up the dough and cooking down the apples was rather easy. The challenge was that the book’s photo for szarlotka shows a beautiful latticed tart. What I found out instead, however, is that the “cookie-like” dough is as wet and sticky as, well, cookie dough and therefore does not lend itself to making delicate lattices no matter how many times you try to chill it (or however many hours of sleep you lose trying). In the end, I threw the rest of the dough on top of the apples and pieced it together as best I could. Once out of the oven, it didn’t really matter. 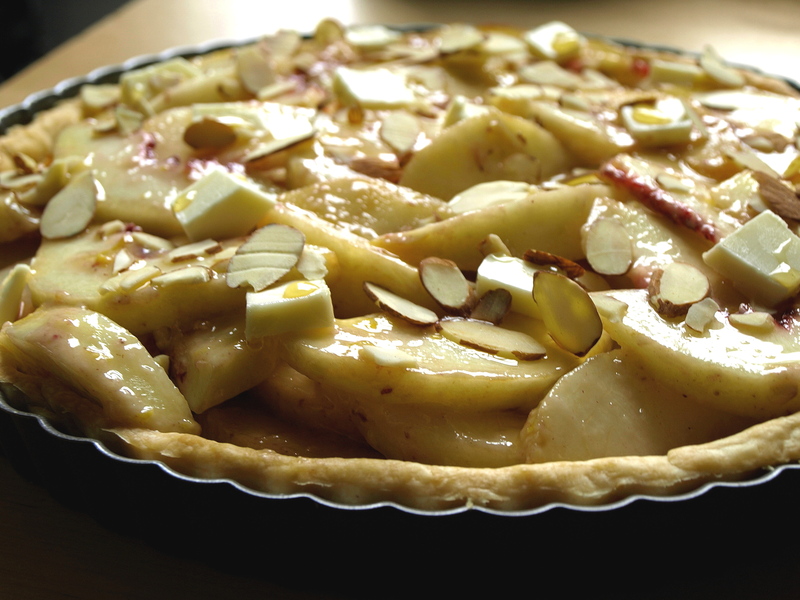 Lattice or no, the tart looked golden and the aroma of cinnamon and apples filled up my kitchen. When I brought it to Adam’s, having gorged on potato pancakes until we could all undo a belt notch or two, he brought out dessert. I told him my lattice woes and apologized for the results. He thought about it for a moment, and stated that he doesn’t remember szarlotka even having a top crust let alone a lattice. Excellent! Oh and how did it taste? 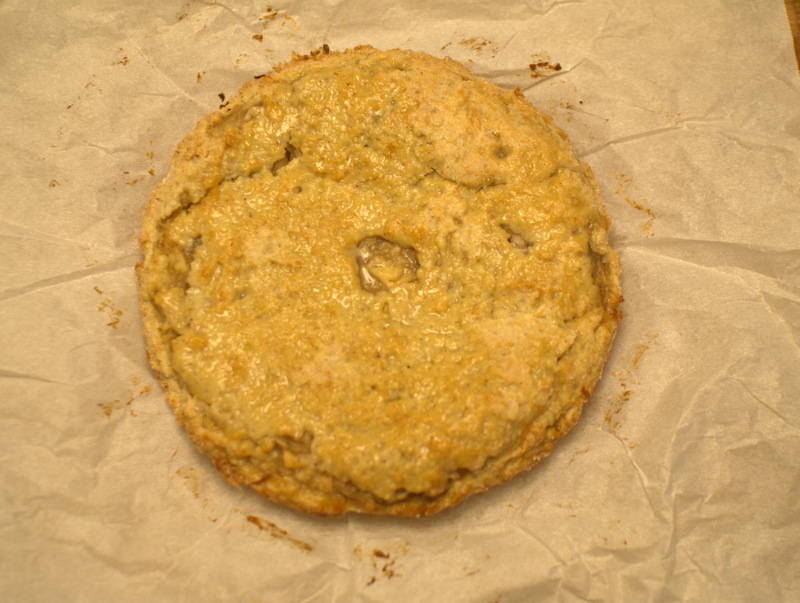 Well the “cookie-like” dough sure does taste like a chewy sugar cookie, sweeter and more crumbly than regular pie crust. The apples are not dressed up in anything too fancy, and the filling was like a chunky applesauce – not particulary distinctive, but comforting all the same. I do think the top crust adds some needed structure and texture, but if I make it again (and that would only be per Adam’s request) I’m just going to toss the whole thing on top and get more sleep next time. 1. Dough: Sift the flour, sugar, cinnamon and salt into a large bowl; make a well in the center. Combine the egg, oil or butter, milk and vanilla in a cup; pour into the well. Stir with a fork, pulling in the flour from the sides of the well, until the mixture forms a soft dough. Transfer the dough to a sheet of wax paper and form into a disk; wrap and refrigerate for at least 1 hour while you prepare the filling. 2. Filling: Place the apples in a large skillet over medium heat. Cover and cook until the apples start to sizzle. Lower the heat and cook, stirring frequently, until the apples are very tender, usually 20 to 25 minutes. Stir in the sugar and spices. Remove the pan from the heat; mash the apples with the side of a large spoon to make a chunky puree. Set aside to cool. 3. Preheat the over to 350 degrees F, with a rack in the center. Butter a 9-inch fluted quiche or tart pan. 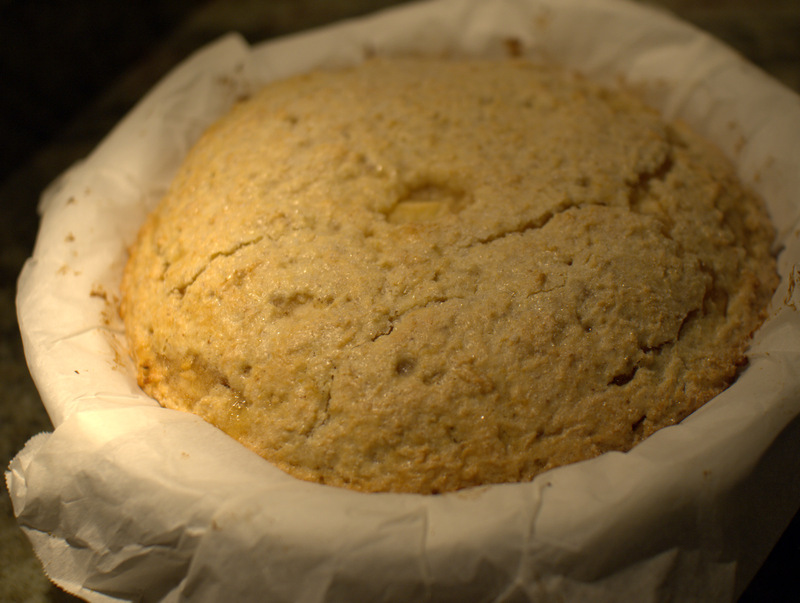 (Alternatively, you can use a 9-inch springform pan or a square baking pan.) Pat about 2/3 of the chilled dough into the buttered pan, making an even bottom later and pressing the dough about 1 inch up the sides of the pan. Spread the filling over the dough. 4. Place a sheet of wax paper on a work surface; flour lightly. Pat out the remaining dough into an even circle about 1/8 inch thick. (This dough is too sticky and delicate to roll out easily.) Cut the dough into 3/4-inch-wide strips. Carefully lift the strips of dough with a spatula or dough scraper and arrange them in a lattice pattern over the filling, pressing the ends of the strips into the dough on the sides of the pan. Sprinkle the lattice with white sugar. 5. Bake until the pastry is golden, usually 45 to 50 minutes. 6. Cool the tart in the pan on a wire rack. Sprinkle the tart with confectioner’s sugar. Serve lukewarm or at room temperature, cut into wedges. The best parts of the holiday season are that warm, fuzzy feeling of goodwill toward humankind, the impulse to bestow good tidings to strangers, and the deep-seated flush from feelings of cheer, magic, and merriness. Of course, I am talking about alcohol. When is a better time to catch that spill of Kahlua with a mug of hot chocolate? What other time of year is vodka undoubtedly better with some hot apple cider and spices? Why else does peppermint Schnapps exist? Let’s see, so far I’ve baked with Irish beer, Mexican tequila, and French calvados, so I clearly have an alcohol problem. The problem being that I haven’t even considered an American spirit – so it’s time for some good old-fashioned, stars and stripes, eagle clutching a lady liberty figurine-style patriotism. In the form of bourbon. Bourbon, that great American whiskey, lends its earthy, sweet, and nutty flavor well to other traditional tastes of the holidays – namely, pecans and pumpkin. It’s a natural fit. 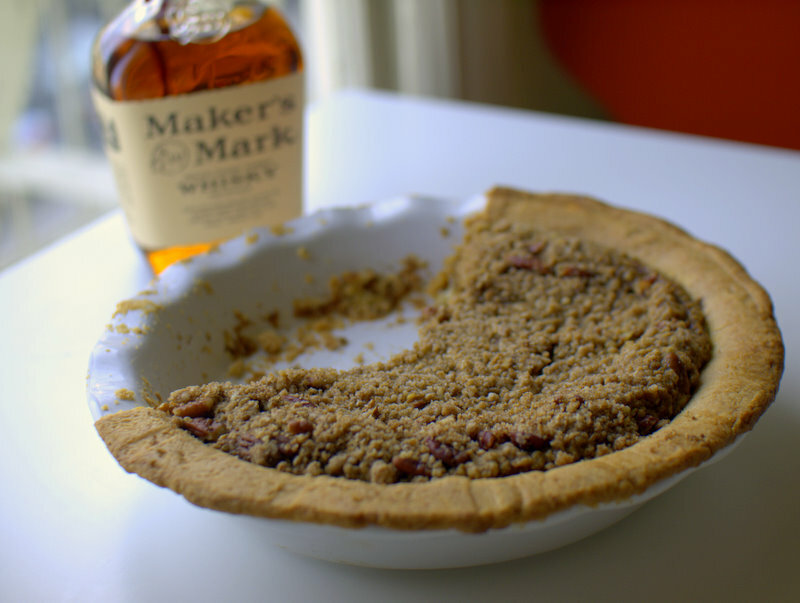 This bourbon and pumpkin pie with pecan streusel has everything you could want in a holiday dessert, especially if you can’t decide between a slice of pumpkin pie, pecan pie, or a shot of Maker’s Mark on the rocks. Have them all! I plan to substitute it for vanilla extract in every recipe from here on out. OK, maybe not but the idea still stands – it’s a great flavor that makes other flavors greater. And super patriotic. I realize I’m late to this game. With the much-lamented demise of Gourmet magazine, I don’t readily access food news as much as I used to. So when waiting for my car to be serviced, I was happy to find a lone Bon Appétit under a pile of car and running magazines. While casually flipping through it, I suddenly stopped, gasped, and closed the magazine to look around and make sure nobody could see what I was reading. 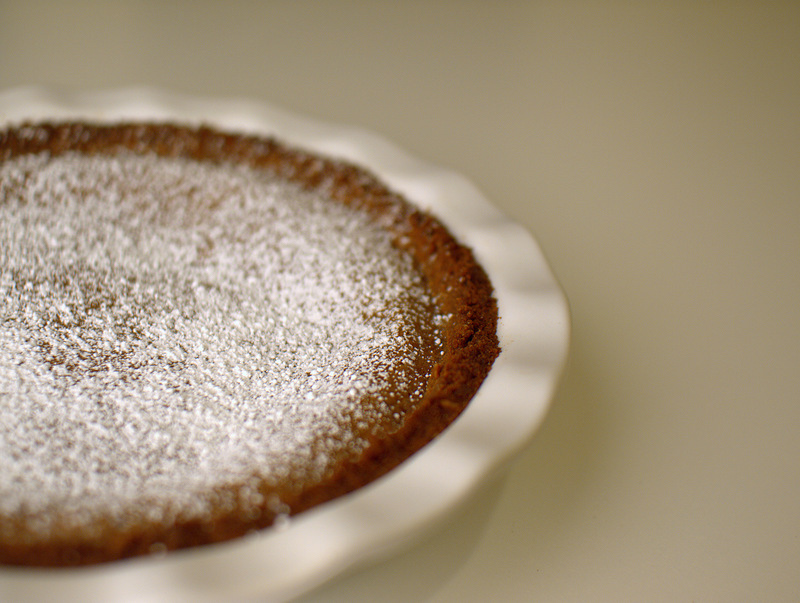 There was a recipe for Christina Tosi’s crack pie printed on the pages of Bon Appétit. Was this possible? Even I, in my non-food-worldliness stranded on the left coast knew about crack pie. It was supposed to be glorious, only one restaurant in one city in the whole world had it, people could hardly describe it, and it was called crack pie! I haven’t been to New York in years and years, could this be my chance to taste what all my NYC food friends were stammering about? Was it even legal to have access to this recipe? I was all a-twitter. Of course, when I went home and googled the recipe, I found that yes, anyone could make it and yes, everyone already had. To me, this was just encouragement. Nobody I knew at home even knew what I was talking about, so I had to find the right occasion to bring it out and see if the pie’s powers were truly crackalicious on its own unheralded merits. So when Adam invited everyone over for a 3-course home-cooked Polish meal (how awesome is that, by the way?) and we were to bring dessert – the perfect moment was upon me. I was worried that the pie was a bit homely looking for a dinner party, but it’s actually quite appealing with its humble oaty crust and light powdered sugar veil. The recipe states to serve it cold, which I did. This was jarring, at best. Cold and buttery and PACKED with (3 kinds of) sugar, it wasn’t my favorite of the desserts that day. And yet, other people kept going back to it for another sliver and another (this pie is best served in tiny slivers, it is potent in its impact). With a quarter of pie left, B and I embarked upon a 6 hour drive the next day. I thought to grab the pie and a fork for the road, just in case. And that, my friends, is when the full essence of the crack pie bloomed. At room-temperature, with pie plate on lap and fork in hand, that sucker was AMAZING. 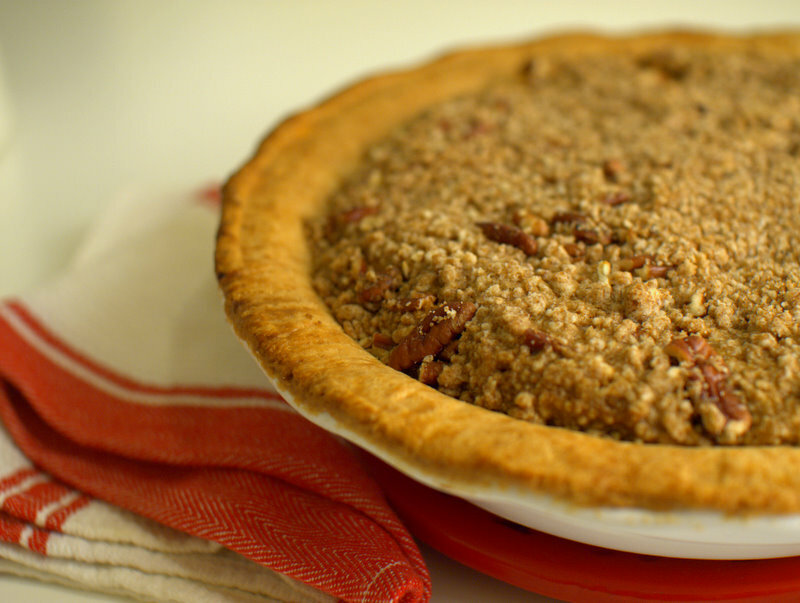 The rich, buttery taste reminds me of the smooth caramel-y filling in pecan pies minus the nuts. 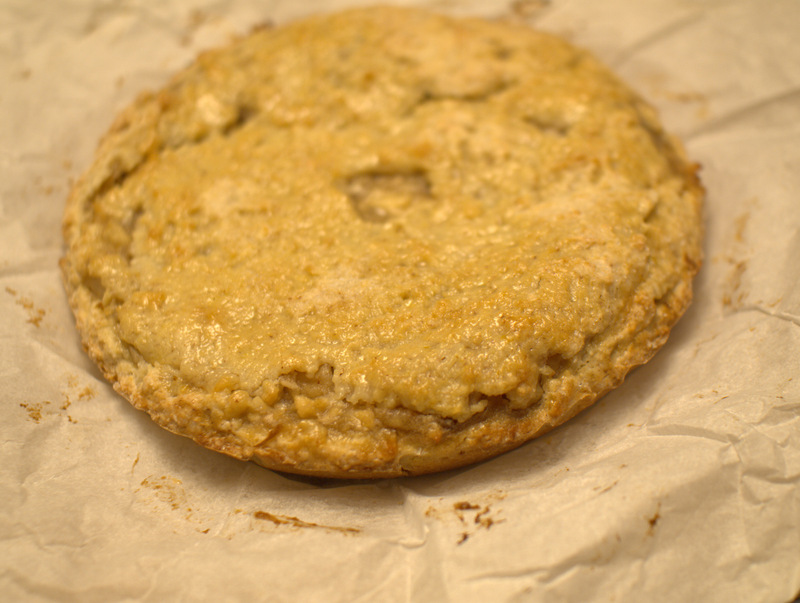 It is sweet, really really sweet, but the crispy crumbly and slightly salty oat-cookie crust perfectly offsets the decadent filling. I get it now: it’s crack. My recommendations: 1) this pie is a project. Start at least a day early to make the cookie, destroy the cookie for the crust, and then make the filling. 2) Chill it for at least overnight. After it came to room temperature from the oven, I chilled it for an entire day, resulting in non-runny filling when served at room temp. 3) Yeah, definitely serve it at room temperature. With a cold glass of milk. 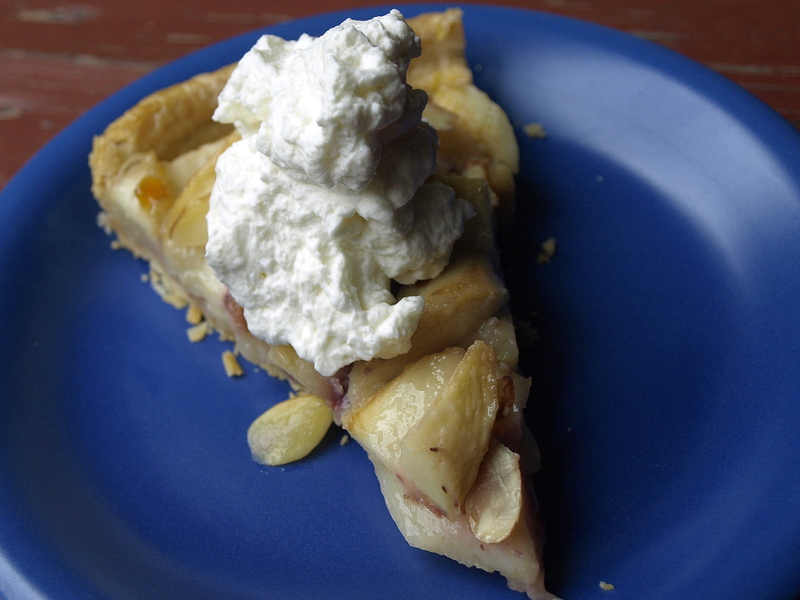 I completely agree with Christina Tosi that it is best enjoyed directly from the pie dish. Living in the city has made me infinitely lazier. Why cook when there’s delicious delivery and tasty takeout? Especially when there’s no dishes to do and leftovers for lunch. However, after a few too many dim sum deliveries, I’d had enough. I needed something new, something that was less guilt-inducing and possibly portable. That’s when I stumbled upon Peasant Pies down the road. 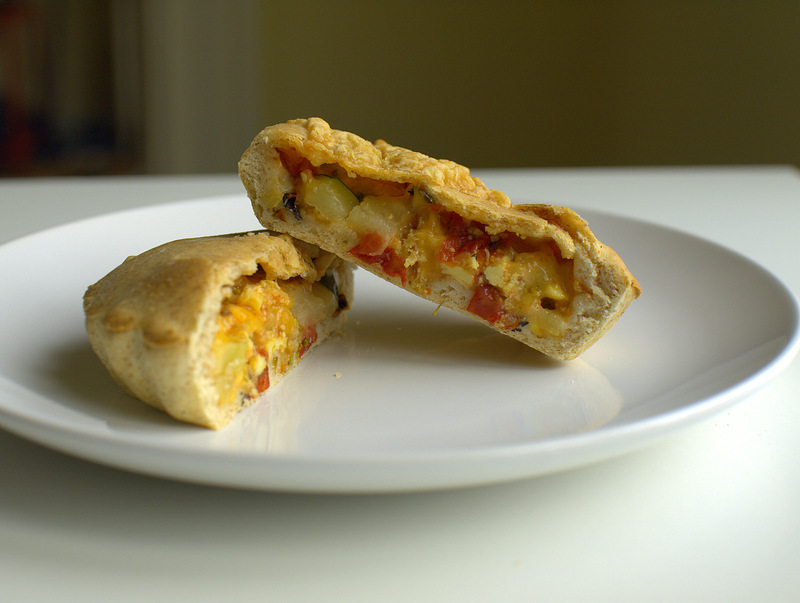 They make portable pastries filled with various savory and sweet stuffings. I brought home a sampling of vegetarian pies: curried potato, Moroccan lentil, spicy eggplant and tomato, spinach and feta, eggs with veggies and cheese, and zucchini with mushroom and cheese. 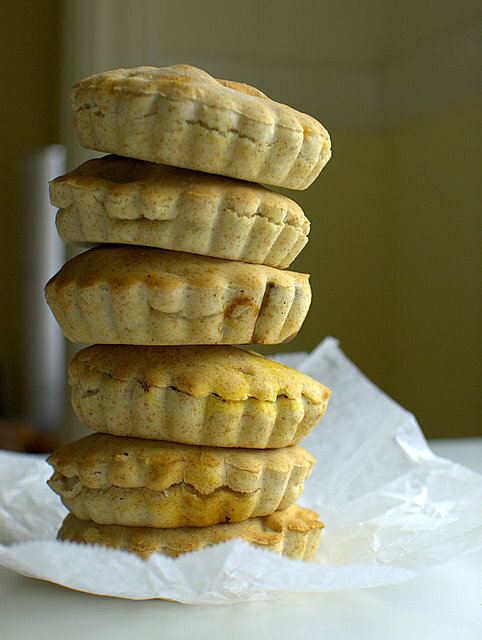 First off, the pies are a great deal at a little under $3 each. They’re palm-sized but really filling. The crust is a whole wheat mix that, once warmed up in the oven for a few minutes, is crisp and quite dense which allows it to be hand-held without flaking off in your fingers or leaving a buttery sheen behind. The crust itself wasn’t particularly flavorful and using a knife or fork is actually difficult unless you want shard of crust in every direction. I’d recommend just using your hands as intended. As it was breakfast time, I started with the scrambled egg pie with a bit of tomatoes and onions, mushrooms and some Monterey Jack cheese. It was flavorful and the eggs remained light and fluffy (how’d they do that?). Beats a fast food faux-egg product sandwich for sure. Of the other pies, I especially liked the curried potato and the spicy eggplant and tomato. 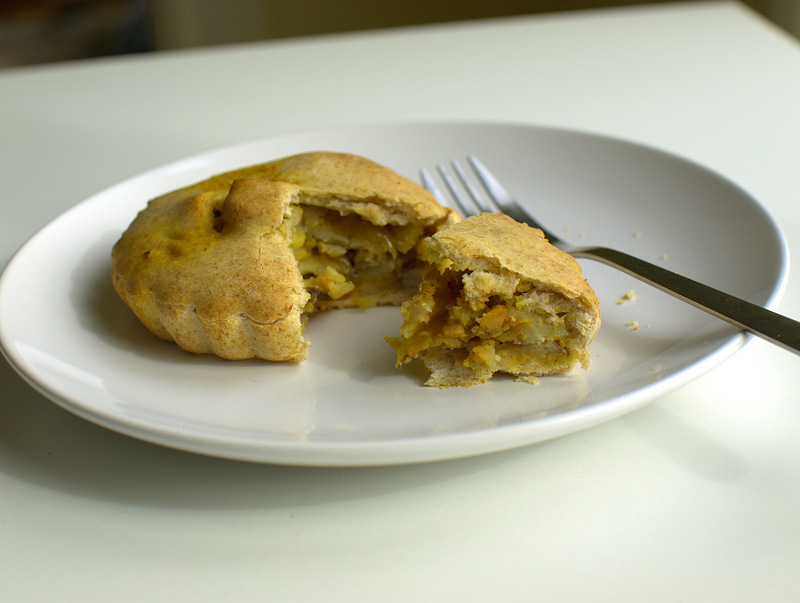 The curried potato was like a samosa – I found it to be delicately spiced. The eggplant and tomato is beautifully garlicky, with fresh herbs and a perfect sized bite of eggplant. I adore eggplant and feel terrible for people who hate it because they’ve had it poorly prepared to become a slimy mush. This eggplant was juicy and creamy, and the tomato sauce wasn’t spicy so much as herb-y, like a ratatouille. The spinach and feta pie was a bit dry for me, and I think that particular filling works better in a phyllo or croissant style flaky crust wrapper. I was actually a bit put off by the cheese in the zucchini pie, and the lentil pie filling was a bit too sweet for me, but then again I prefer Indian style lentils to French style. Overall, I’d be back for a breakfast pie or a quick veggie lunch. And I’ll definitely try the sweet pies on my next visit. This is neither here nor there, but I had to post this photo from my adventures at the Polish festival with my buddy Adam. He may have been a bit homesick for authentic kielbasa and a friendly Polish grandma face serving up hand made pierogies, so we headed to Golden Gate park for a rather crowded dining room of people waiting patiently for their chow. Starting off with some refreshing Zywiec beers, he got his kielbasa with plenty of mustard on the side, and I got a pierogie platter with mushroom pierogies and potato and onion pierogies laden with melted butter. We finished up with a slice of home made poppy seed cake and watched a band of middle aged people perform what can only be described as folk-techno. Na zdrowie! Look, you don’t need some faux-holiday to indulge in some serious chocolate, but if you’re going to celebrate or anti-celebrate valentine’s day, chocolate overkill is a pretty good way to go. Sometimes chocolatey goodness is equated with sickly sweetness like so many embarrassingly fleeting high school crushes. At some point, a chocoholic’s taste matures and broadens, and you realize that the intensity of cocoa tastes better when it bites back a bit. So for those of you craving more complexity in your chocolate, I present to you a chocolate tart with bite. This tart is potent, spicy, rich and just a bit sweet – dare I say a bit more adult than those crushes of yore. This is not for the faint of heart, the bit of pepper adds a subtle kick but the ginger really heats things up. The chocolatey-ness is so intense, a tiny sliver is all you need and it goes well with whipped cream or ice cream. If you love your desserts with a bit of spice, you have just found your true valentine. For crust: Preheat oven to 325°F. Finely grind gingersnap cookies in food processor to yield about 1 1/2 to 1 2/3 cups. Add melted butter and salt; mix until moistened. Press crumb mixture firmly onto bottom and sides of 9-inch diameter tart pan with removable bottom. Place pan on rimmed baking sheet. For filling: Combine bittersweet chocolate and cream in heavy medium saucepan. Whisk over low heat until chocolate is melted and smooth. Remove saucepan from heat. Whisk yolks, egg, sugar, flour, pepper and salt in medium bowl to blend. Very gradually whisk chocolate mixture into egg mixture until smooth and blended. Pour chocolate filling into crust. Bake chocolate tart until filling puffs slightly at edges and center is softly set, about 30 minutes. Transfer to rack. Sprinkle chopped crystallized ginger over tart. 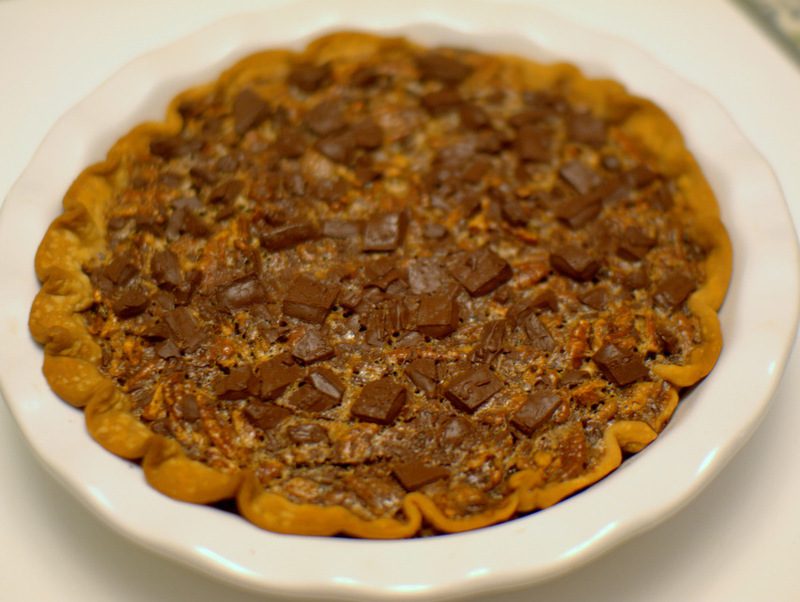 Cool tart in pan 20 minutes. Gently remove tart pan sides and cool tart completely. Some parts of the country have had extensions in their peach season (oh global warming, how delicious you are!) and we get to luck out as a result. I like fruit pies, but get a bit grossed out if they’re too syrupy. Especially cherry – the smooshy cherryskin carcasses always gave me the creeps. Enter the tart – light, delicate, and fresh. This recipe tastes like summer on a plate – the peaches are front and foremost, lightly highlighted with a drizzle of honey, a pat of butter, and a sprinkle of almonds. Top it with some whipped mascarpone, and you’ve just made some humble peaches very happy. Blend flour, sugar, and salt in processor. Using on/off turns, cut in butter until pea-size pieces form. With machine running, add enough ice water by tablespoonfuls to form moist clumps. Gather dough into ball; flatten into disk. Wrap in plastic; refrigerate 1 hour. Roll out dough on lightly floured surface to 12-inch round. Transfer to 9-inch diamter tart pan with removable bottom. Trim overhang to 1 inch. Fold overhang in and press to form double-thick sides. Press inside edge of crust to push it 1/8 to 1/4 inch above top edge of pan. Pierce bottom of crust with fork. Refrigerate 1 hour. Preheat oven to 400°F. Bake tart crust until golden, piercing with fork if bubbles form, about 25 minutes. Can be made 1 day ahead – cool, wrap in plastic and store at room temperature. Mix sugar, flour, and lemon peel in large bowl to blend. Add peaches and toss to coat. Pour into baked crust. Drizzle honey over peach mixture; dot with butter and sprinkle with almonds. Bake until peaches are tender and almonds are toasted, about 35 minutes. Brush fruit and almonds with peach preserves. Cool 15 minutes before serving. 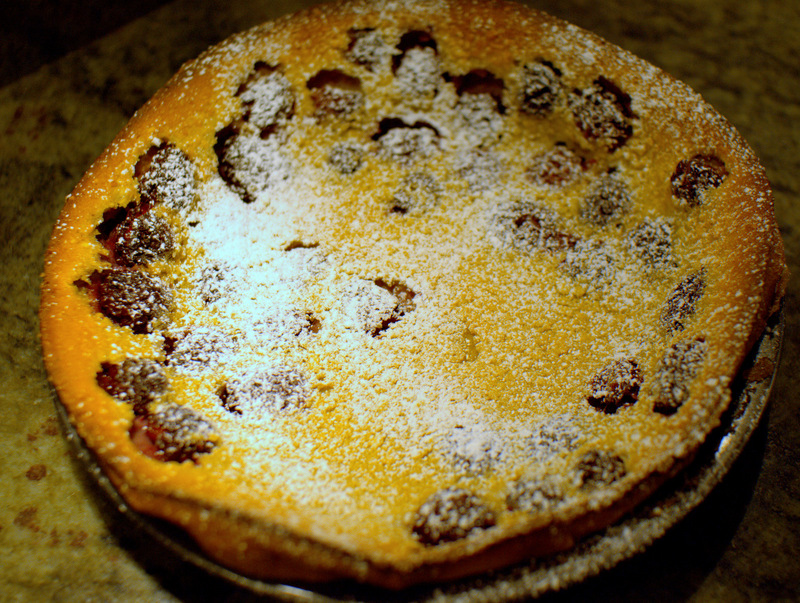 Can be made 6 hours ahead – store tart at room temperature. Using electric mixer, beat cream, mascarpone, sugar, and vanilla in large bowl until peaks form. Slice tart and serve with dollops of mascarpone cream.